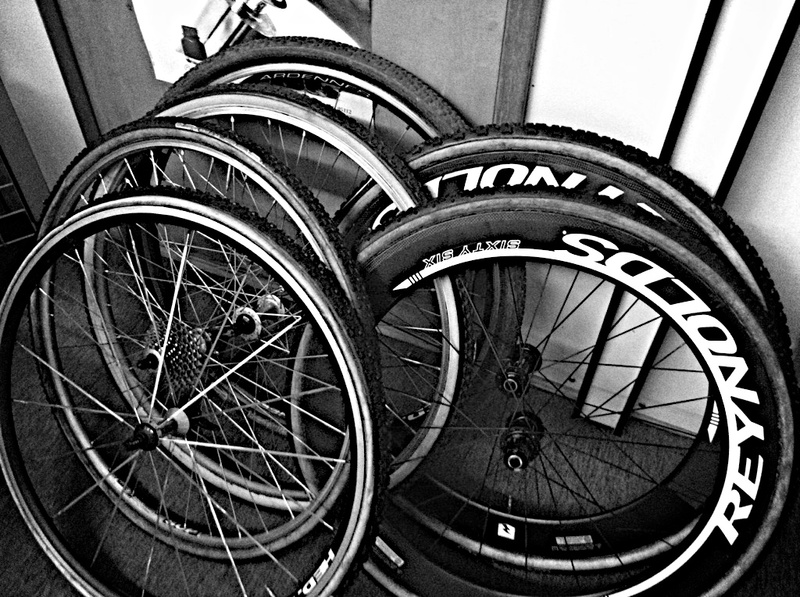 It’s gluing season at the shop and Mark V’s been at work, like a secret cementing santa, on our Cross wheel quiver. Another 3 1/2 wheel sets and that’s complete. In on test and review are Enves, Reynolds, MadFibers, and Stans. They join the Hevics and will get skewered into the D-Plus with this, XO 1 x 10 set up. 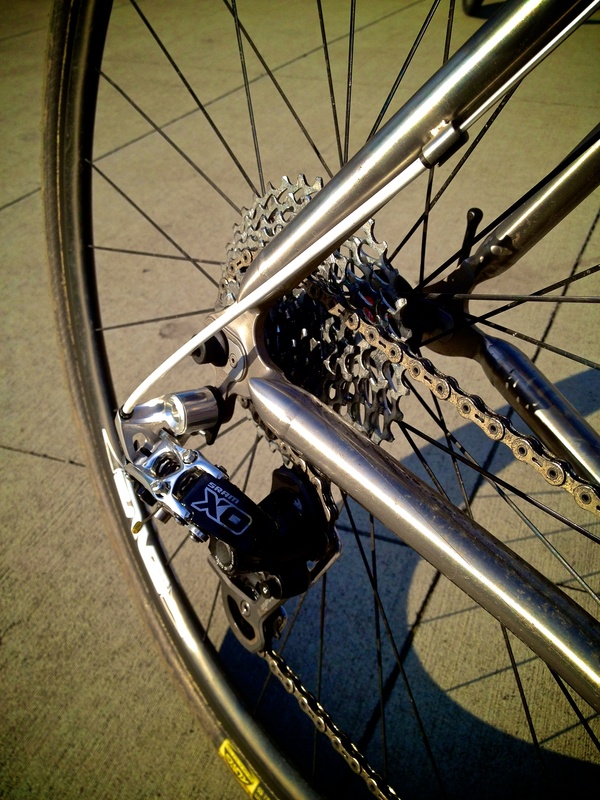 Last time a derailer broke in during a ride was Chorus 8 speed and before that, Deore XT with thumb shifters. Rode it last night and the first 1/2 hour had some rough, popping shifts, then it worked itself out. Main difference noticed in the XO Type 2 is it’s not slappy. It doesn’t shift like a road bike though, you need to pause slightly when the double-tap is clicked.